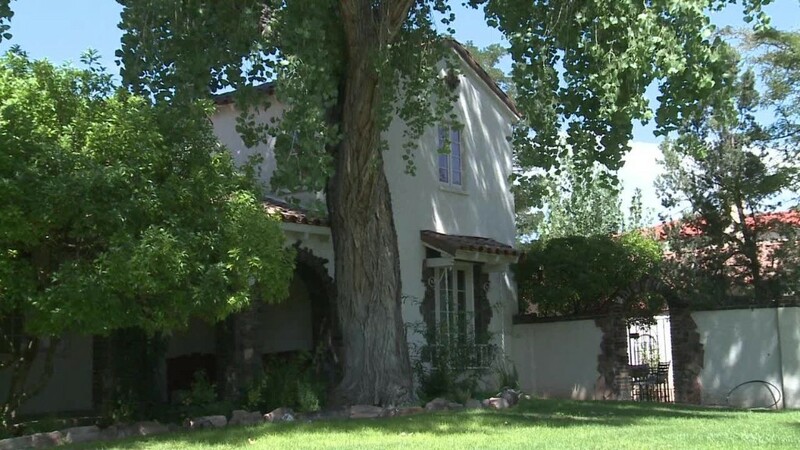 Breaking Bad fans going through withdrawal, listen up: You can buy Jesse Pinkman's house. But it will take some serious cash, the home is listed for $1.6 million. Located in Albuquerque, New Mexico, off Route 66, the 3,539-square-foot home has four bedrooms, three bathrooms, two porches and a breakfast nook. What it doesn't have, according to the listing: a meth lab. The Spanish Colonial home was featured throughout the award-winning show's run. "Jesse Pinkman's house almost became a character in the series itself," said listing agent Susan Feil. Pinkman, who was Walter White's partner and played by Aaron Paul, buys the house from his parents in season three of Breaking Bad. While the show ended in 2013, fans still flock to the house. The home is listed as part of a 3.5-hour trolley tour and is a magnet for tourists. "Yesterday...there were four young guys doing selfies, one was from Finland," said Feil. But she added that fans aren't disruptive. "Although they may stop and take pictures they've been very respectful." Breaking Bad's success was a boon to Albuquerque's economy, she added. "It brought a lot of money into the city." The sellers lived in the home "on and off" throughout the show's filming, Feil said. The home, which hit the market Tuesday, is not being listed on the local MLS housing database. "But we let all the brokers in town know about it and we are working with anyone who has a buyer."